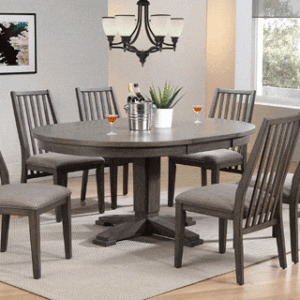 Chic contemporary dining in a deep washed grey birch veneer. Geometric design elements combine smart styling with a high end finish. Chairs sold separately.